Linda was born and raised in Calgary, Alberta. After marrying her husband Merlin, she experienced small town living in a variety of locations in Southern Alberta. In 1997 her family of five moved to Okotoks and currently consists of three grown children along with their spouses and six of her favorite grandchildren. 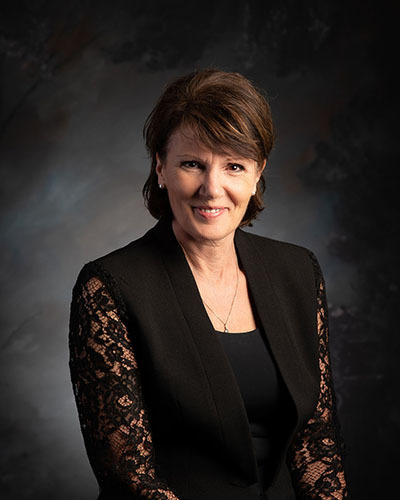 She served on the board of directors for the Okotoks Food bank for four years and was instrumental in helping to raise funds and locate to a permanent location. She is also involved in her local church. Linda’s hobbies include bike riding, hiking and spending time with grandkids! Linda has a passion for all people in all stages of their life journey. She is looking forward to sharing her time with the valuable work of the Foothills Country Hospice and helping to ensure every person has access to quality end of life experiences, comfort and care.